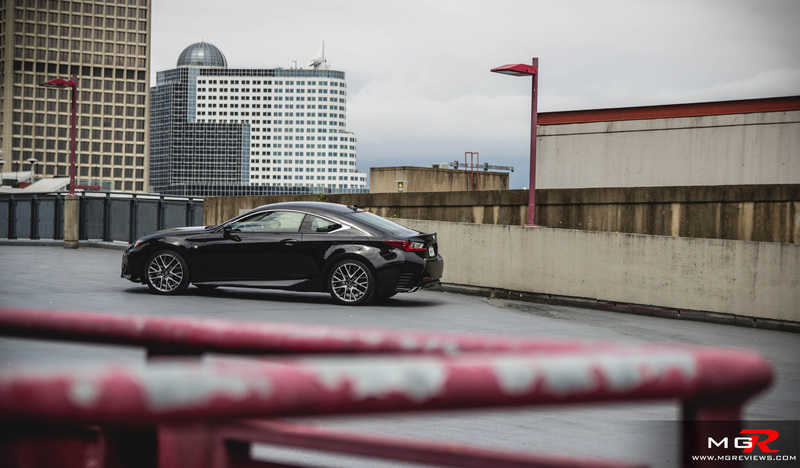 For 2015, Lexus introduces a brand new coupe model that is based off the popular IS350 platform. It is set to compete against the likes of the Mercedes-Benz C350, Audi S5, and BMW 435i. But is the RC350 a good enough luxury vehicle that it will persuade consumers away from the established German rivals and into the new kid on the block from Japan? 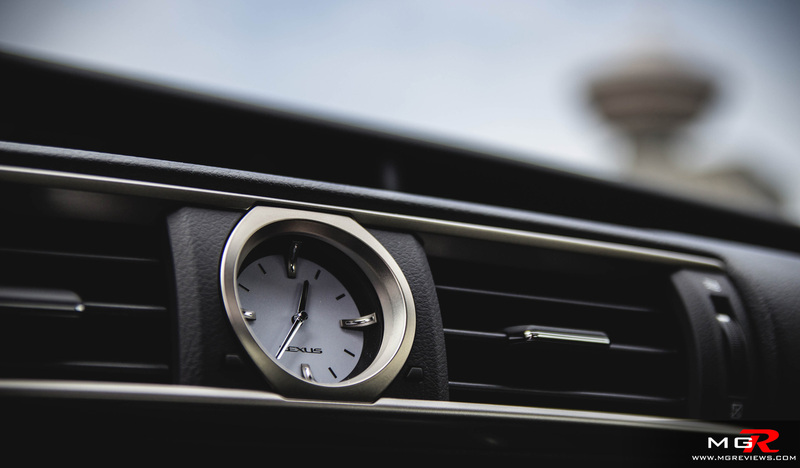 Performance – To answer that question, it really depends on what you’re looking for from a luxury coupe. 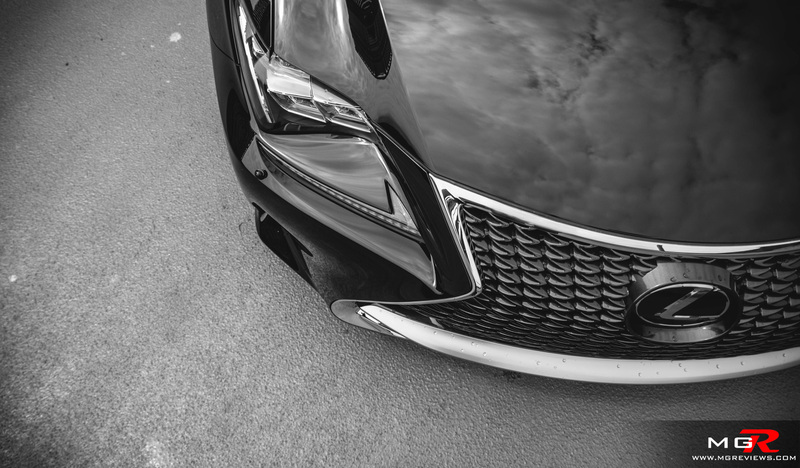 If you’re wanting for all out performance, then you might feel a bit disappointed with the Lexus RC350. 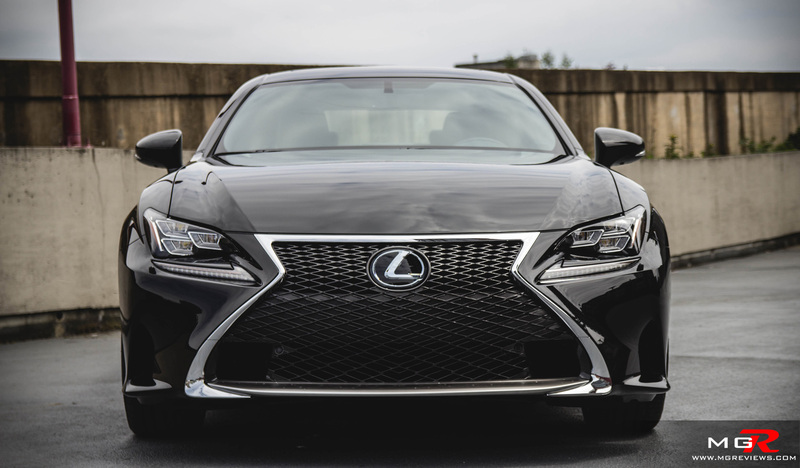 The RC350 is only available with a 3.5L V6, although, there is a V8 option for the model but that would put the car in a different category and it would compete against the BMW M4. 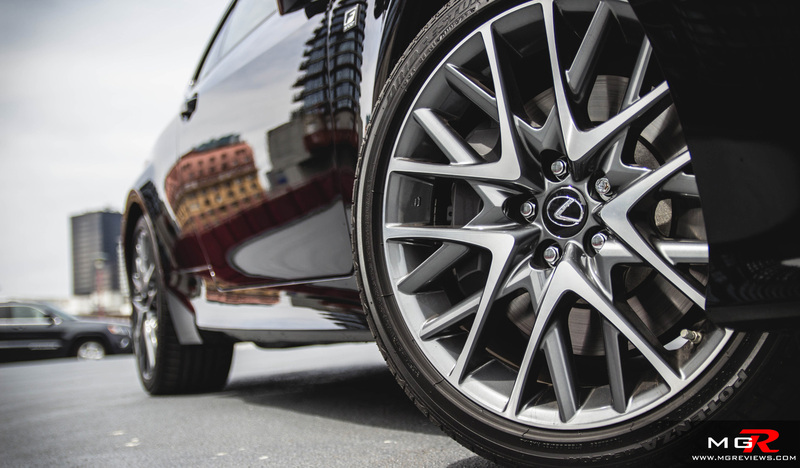 The V6 that all RC350s are equipped with produces 307hp and 276 lb-ft of torque whether it is sending its power to the back wheels (as tested) or all four wheels. 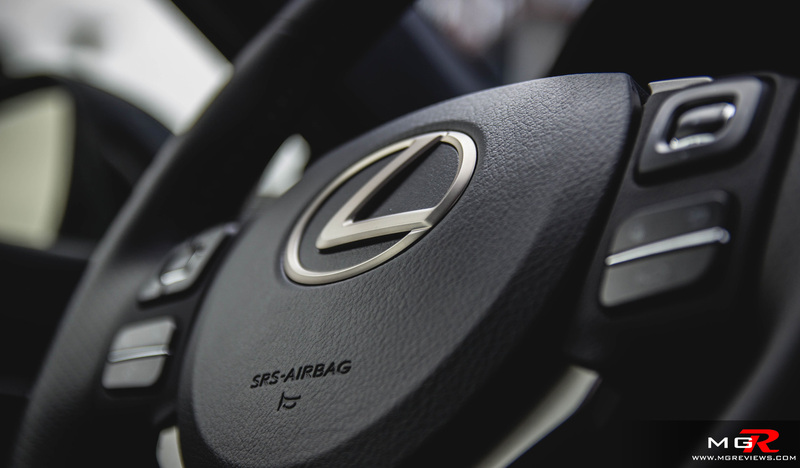 Like most Lexus products, the engine is smooth and it delivers its power gradually as the rpms and speed increase. Not to mention, it makes a satisfying rumble once you put your foot down on the accelerator. 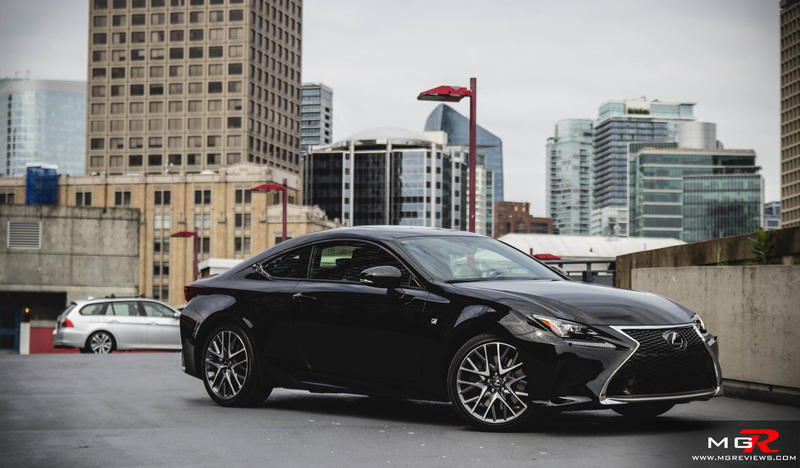 Unfortunately the engine does have to pull 1700kg of weight and although the BMW 435i weighs exactly the same, its engine produces more torque at lower rpms which helps it out-accelerate the Lexus RC350 AWD by a few tenths of a second. 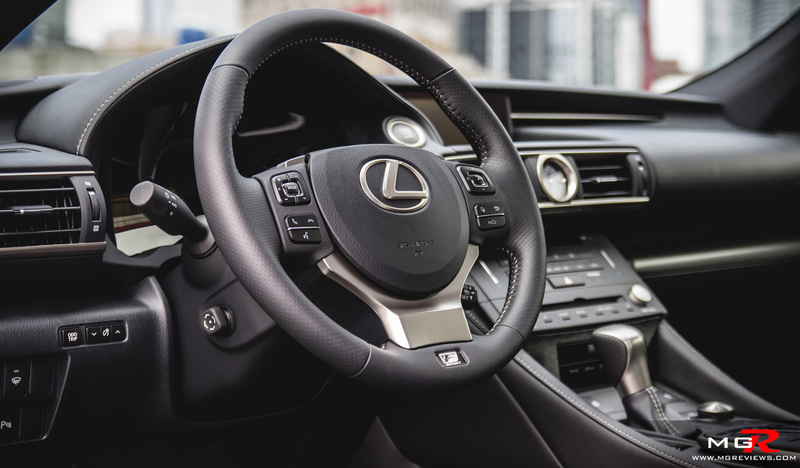 In this rear wheel drive RC350, an 8-speed automatic transmission is standard but all wheel drive models receive a 6-speed automatic transmission with neither having an option for a manual. The 8-speed automatic in this rear wheel drive RC350 is a very good transmission. 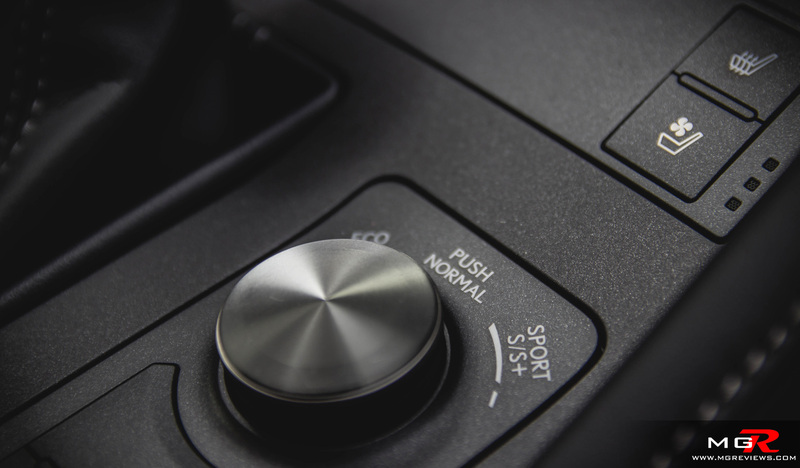 Shifts are smooth when the vehicle is in “Eco” or “Normal” drive modes and the same can be said when it is in “Sport” or “Sport+” but with shifts being noticeably faster. 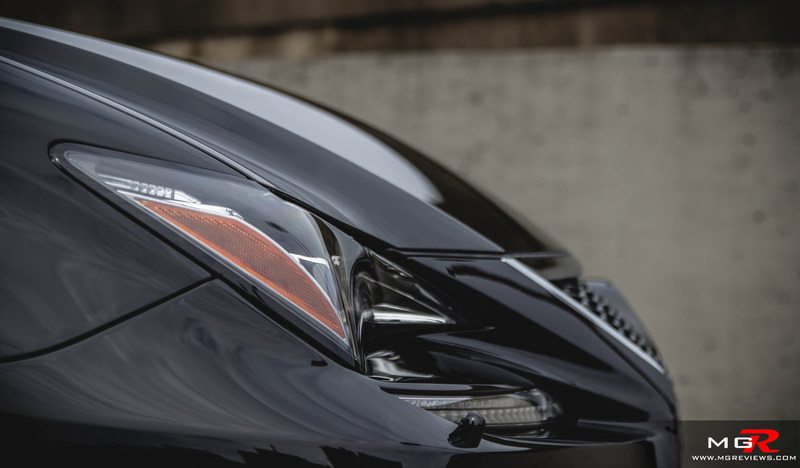 When going around corners, the RC350 is a capable performer with steering being responsive and communicative for the driver. 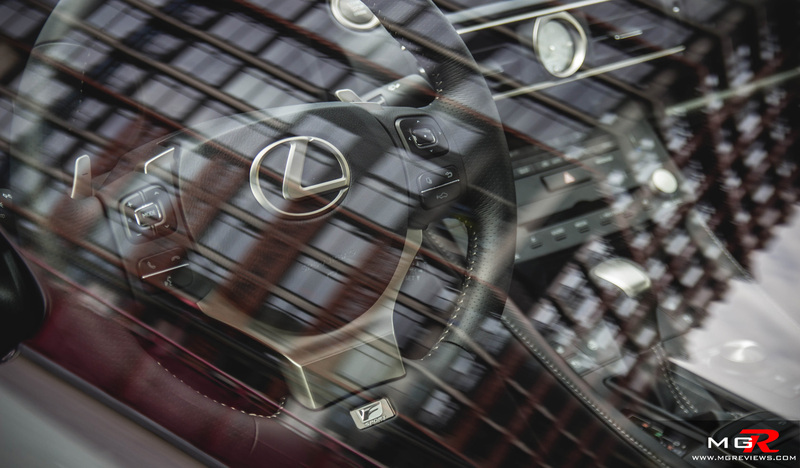 This F-Sport trimmed model is equipped with, what Lexus calls EPS with VGRS. In short, it is an electric-assisted power steering system with variable steering ratios that allows for precise steering when driving enthusiastically but fewer turns of the steering wheel when driving around a parking lot, for example. Unfortunately these advanced systems do not give the Lexus overall better driving dynamics than the BMW 435i. The relatively soft suspension and hefty weight allow for more body roll when transitioning through corners and it induces understeer at the very limit. 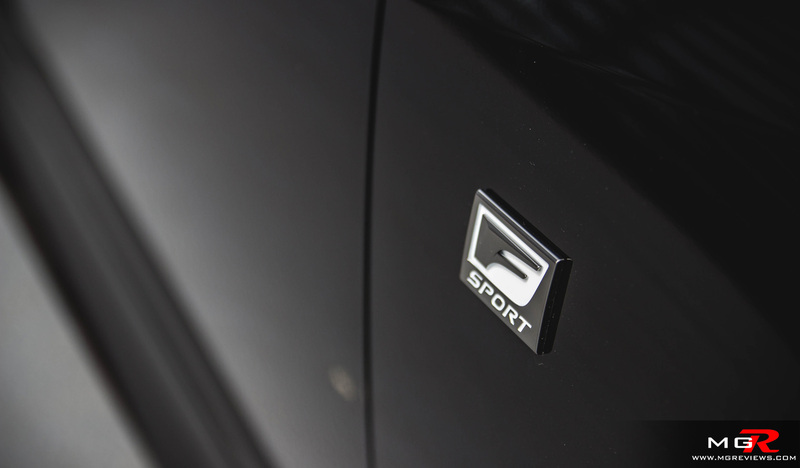 The BMW 435i and Audi S5 just edge the Lexus RC350 F-Sport when it comes to sheer driving pleasure and performance. 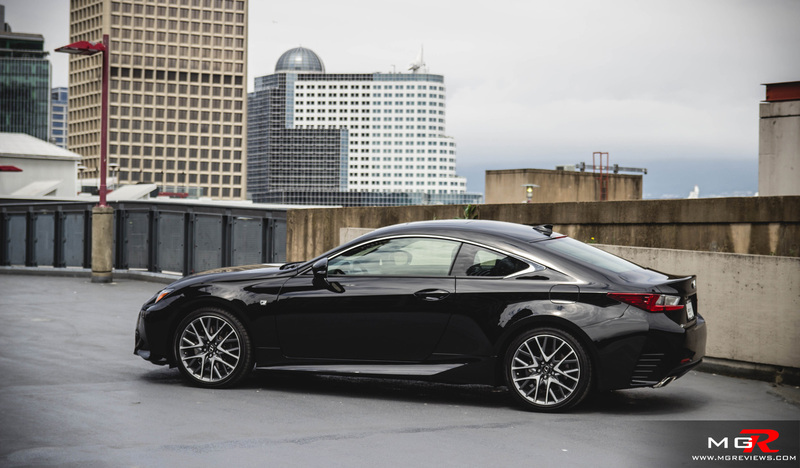 Comfort – However if you require a luxury coupe that will do everything else, every time, outside of a race track, the Lexus RC350 is the perfect vehicle for the job. This car can be used on a day-to-day basis thanks to the soft suspension. 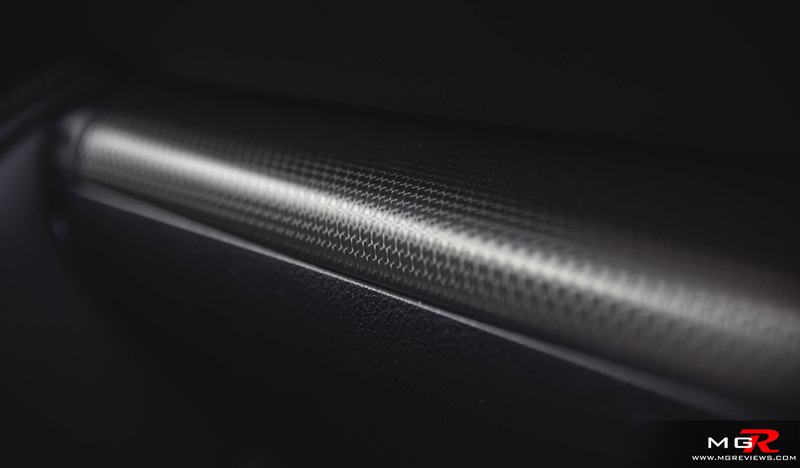 Soft suspension may not be perfect on a race track but it is on cracked city streets. In the Normal driving mode, the suspension absorbs the harshest of bumps and makes the RC350 feel more like its bigger brother, the GS. 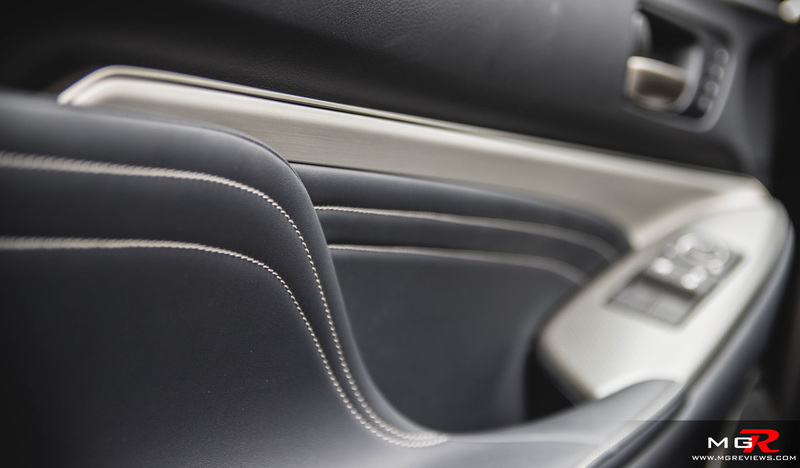 Further adding to the comfort of the RC is a cabin unlike any other. It is a very well insulated cabin that blocks out road, wind, and engine noises. 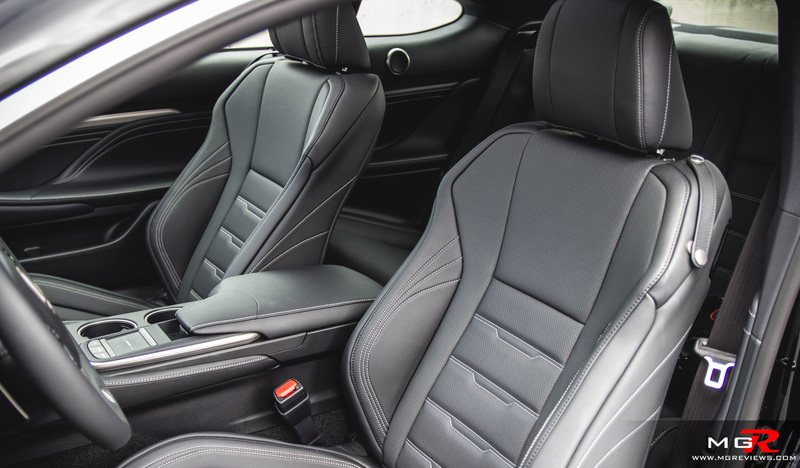 Soft touch materials and leather covered surfaces add to the feeling of comfort and luxury and the massive seats provide excellent back support. 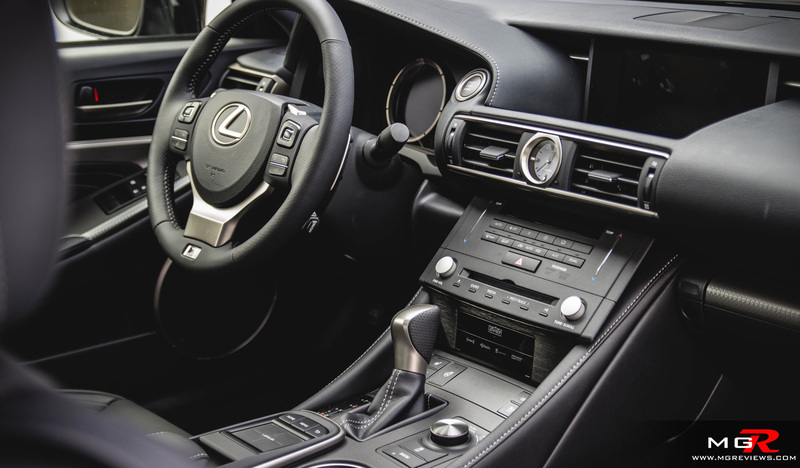 The design of the interior is modern and it takes some of its inspiration from the Lexus LFA supercar. 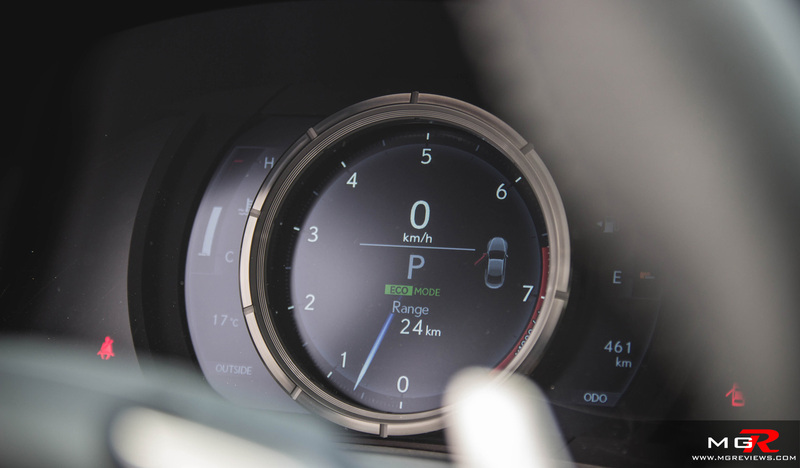 The flow of the center console into the dashboard along with the digital TFT instrument cluster are some examples of the design cues that have been carried over. Space inside the cabin is plentiful for the driver and passenger but leg and head room are almost non-existent in the two back seats. 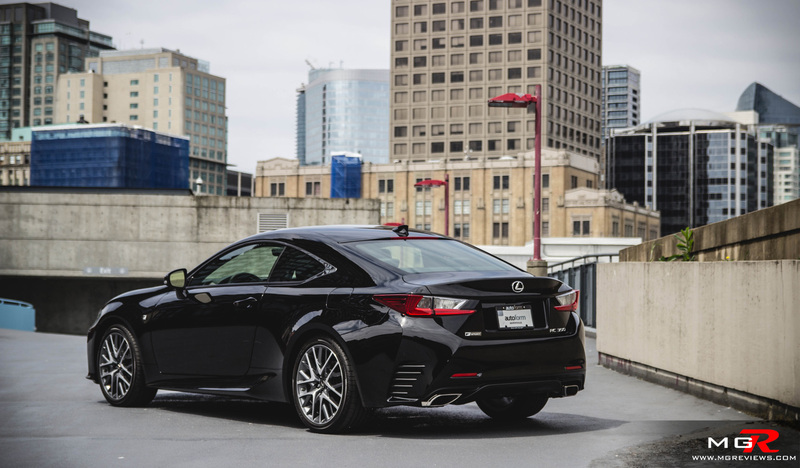 Also rearward visibility is usually never good in highly stylized coupes and the Lexus RC350 is no exception due to the sloping roofline. Odds and Ends – Although the sloping roofline limits the amount of head room for passengers, it is very easy on the eyes from the exterior. The RC coupe, whether in 350 or F trim, looks very bold and unique. Some may not be too fond of the large grille but it gives the car character and you’ll know exactly what it is just from taking a glance at it. There is also a lot of badging incorporated into the styling. 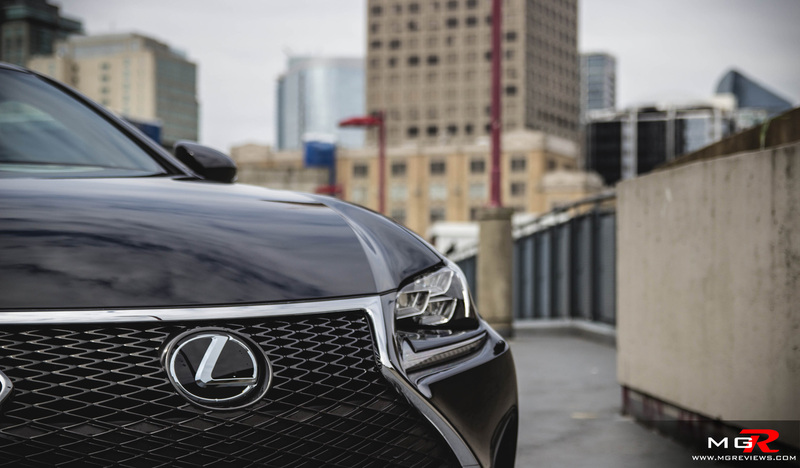 I don’t mean tacky “Lexus” badges on every panel like how BMW adds to their “M” cars; I mean the amount of “L” shapes in the design. 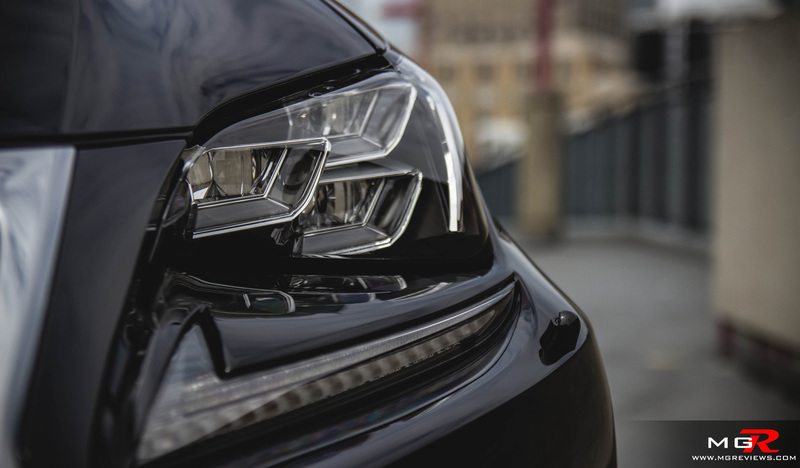 The daytime running lights, tail lamps, wheels, chrome accents on the c-pillar, all of these styling details feature the Lexus “L” shape. 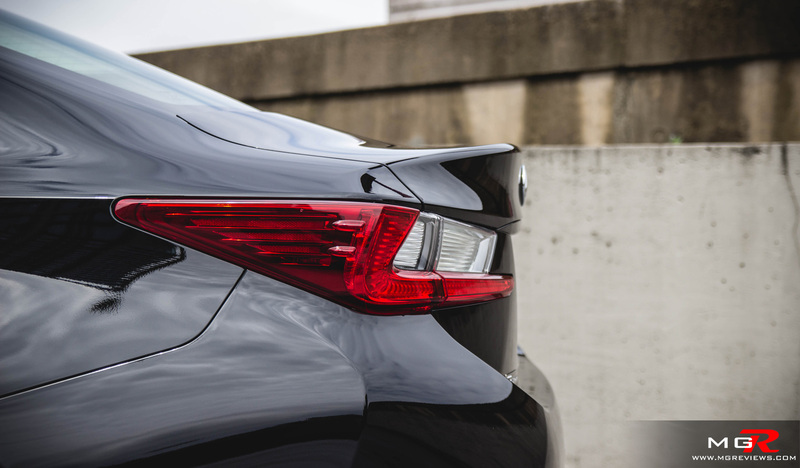 Lexus has done a good job designing the RC coupe and it seems like a design that will stand the test of time. 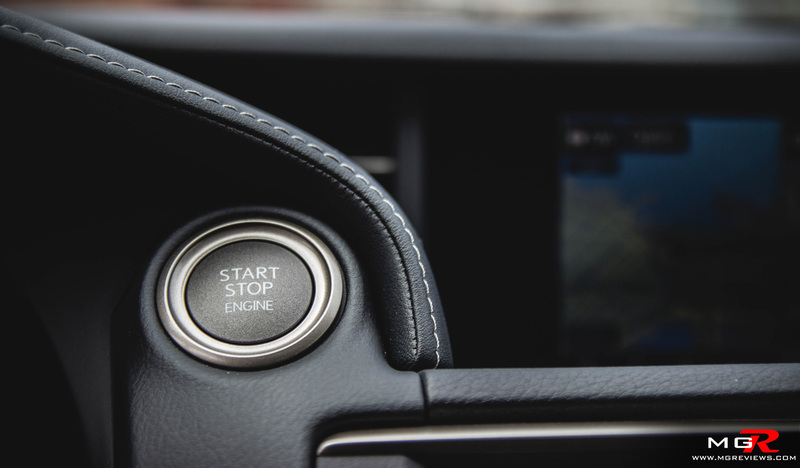 Lexus has also incorporated new safety features that are becoming more common in everyday cars. 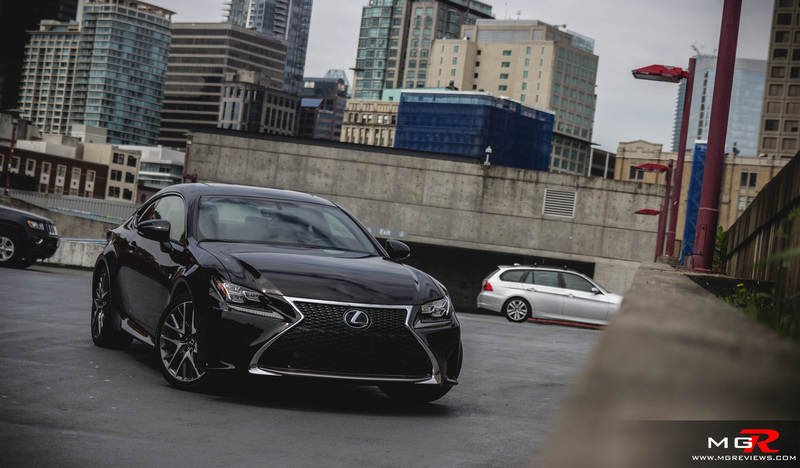 Things like lane change assist, blind side monitoring, and rear cross traffic alert are standard features but if you opt for the F-Sport package, the RC350 will also be equipped with dynamic radar cruise control and pre-collision system. 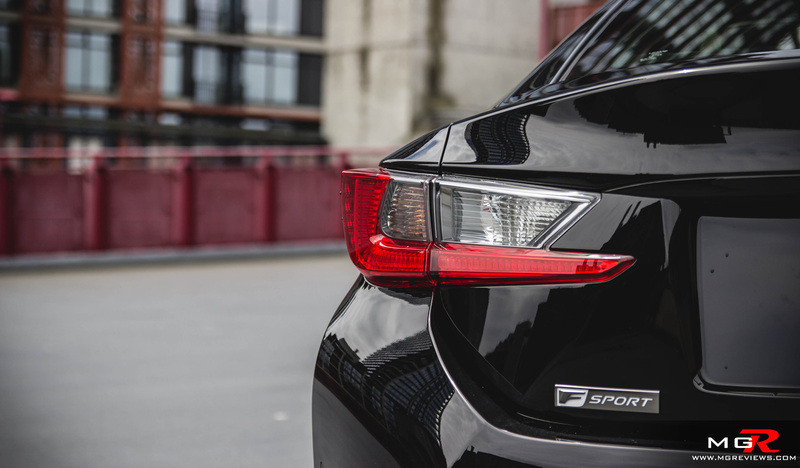 Overall the new Lexus RC350 F-Sport is a stylish and comfortable vehicle with Toyota reliability and a starting price of $54,000 CAD which is $1,500 CAD less expensive than the BMW 435i and almost $4,000 CAD less than the Audi S5. 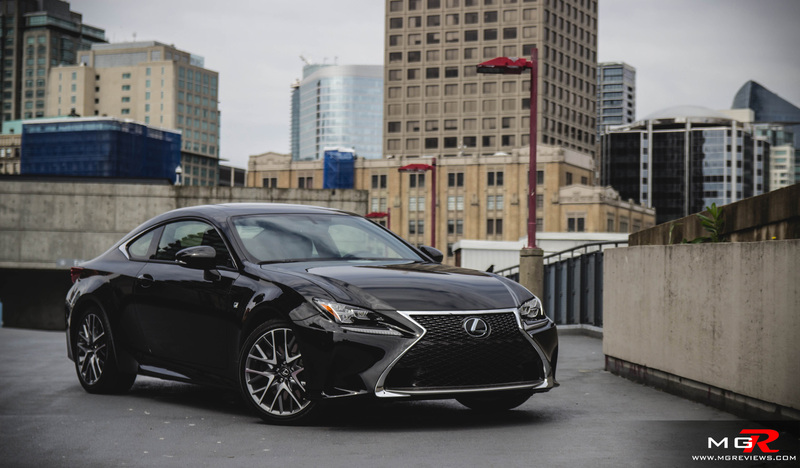 If you don’t mind being a few tenths of a second slower than the BMW and Audi equivalents around a race track, then the Lexus RC coupe is a car that is hard to overlook for day-to-day use. Thank you to Autoform Performance Inc. for providing the car.